Ok, so, the usual stuff here - this is an opinion, it works for me, please use it freely but don't sue me if its wrong. The first thing to note is that there are lots of products out there that you can use to record. This guide will not cover all of them, as I have only tried three of the most popular ones, FRAPS, Afterburner, and Dxtory. But based on this, I have personally settled on Dxtory as in my opinion it is vastly superior and dead simple to set up. And so, while this guide wont teach you multiple products, it will hopefully save you the pain of trying them all and just going for the one that works really well. 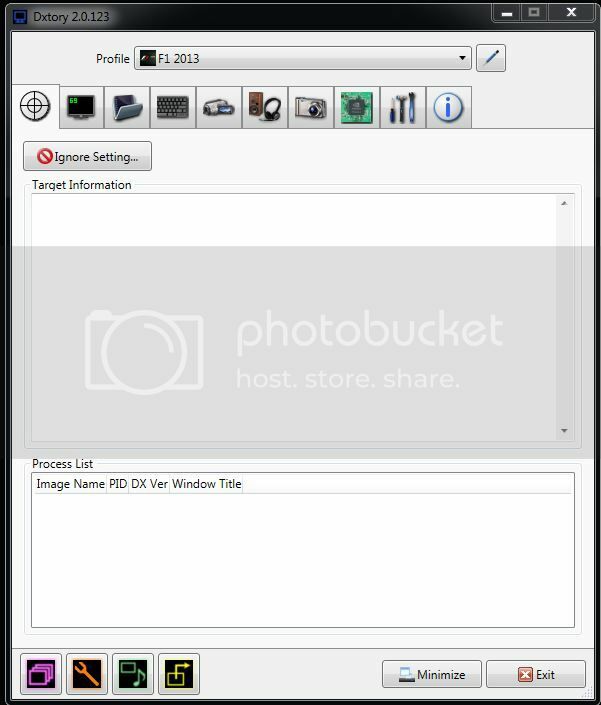 It is very easy to configure, with a simple interface that is both simple and powerful. Given the right tweaking, it gives the best possible output for the lowest possible file size. So why wouldn't you get it? Well, there's really only one: It costs $40. There are cheaper options out there. FRAPS is also $40, but Afterburner is free. Others are free. 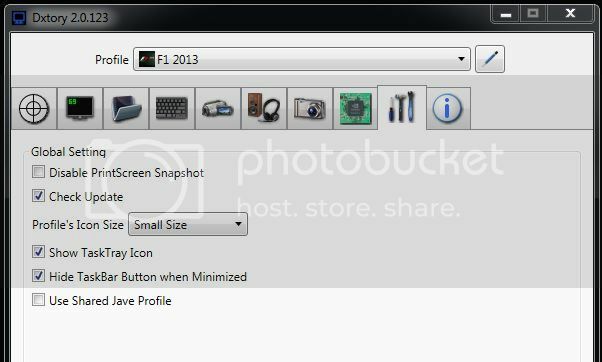 FRAPS gives fatter files, higher overheads and is less configurable, and Afterburner is tricky to configure, a little flakey, uses more system resources, and most significantly won't work on triple screen rigs. You need your race rig of course, which should have about 10% more CPU power than you need to run the game like you want to. Dxtory doesn't use 10%, but it's a nice number to be on the safe side. You also want up to 200Gb of free HDD space, preferably on a second HDD to your game drive (or on a SSD). This is because the file saving process stresses your HDD to the max and you dont want your game fighting your recording for HDD bandwidth. That's nasty. Second, you need Dxtory. Grab it HERE. You'll need to pay online and you'll get a registration file sent to your email. Third, you will need the Lagarith codec. What's this? It's a piece of code that does all the work inside Dxtory to maximise quality and minimise file size. It's crucial, widely regarded as the best on the internets and dead simple to install, so get it HERE. Fourth, if you are uploading it to youtube and don't have NBN and an unlimited bandwidth account, you will need Handbrake. This is a video compression tool that massively skrinks file size whilst maintaining video quality. It's awesome. Grab it HERE. Install the Lagarith codec. Just run the exe. Install Dxtory. Just follow the prompts. Now, click on the screen icon to bring up the Overlay options. This is personal preference, but my settings are default and work well. It shows the overlay so you can monitor fps, and also the fps of the video being recorded. This is important because it will be different to the fps of your game. More later. The third tab is the folder lists, and looks like this. Again, default setting, but here you select where you want to save your videos. Add a new folder using the Green +, then once its in the window, click the icon under 'write speed' to test the speed of writing to the folder. Anything above 60MB/sec is good and wont cause you issues. A reminder, if possible make this a second HDD or an SSD to avoid bottleneck issues with the game. Next up is the keyboard shortcuts for starting/stopping recording. Next, the cool one. Video settings. If you did your job right installing Lagarith, you should be able to select it from the drop down menu. 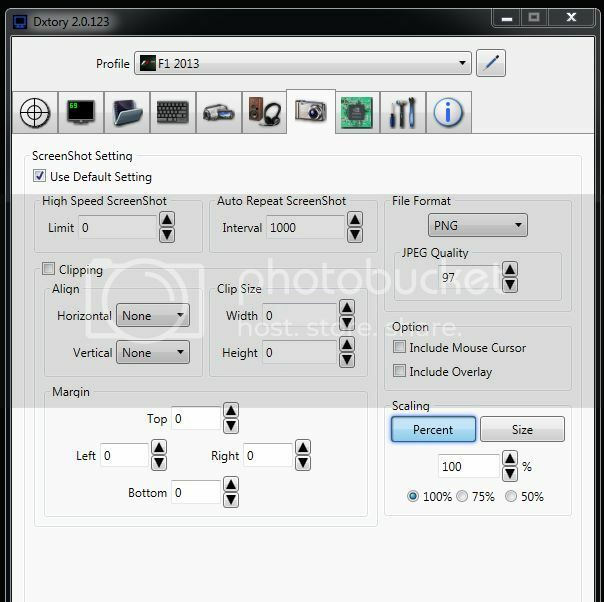 Now, a special note for triplescreeners - You dont want to record all 3 screens, so to make things easier to view and smaller file sizes, click 'Clipping', select 'Center' for both Horizontal and Vertical, and the clip size to the width you want to record. I record all 1080 vertical pixels, but a bit more than the standard 1920 wide, so you see more of the surrounds and give it a more cinematic feel. This obviously adds to the file size but makes viewing much more fun. Single screeners don't need that step above, as you are just recording the whole screen. 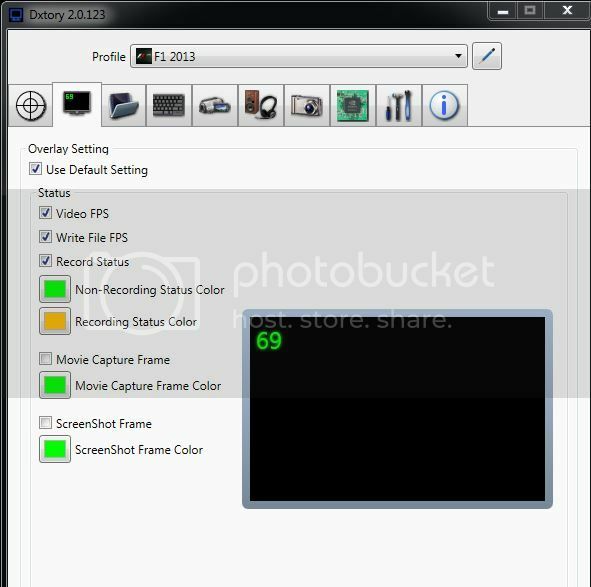 Next, choose Frame Rate of 30 (or 29.97, it matters not), Output as File Output. Then choose whether you want to include the Overlay (fps readout) on your video or not. I choose to. Last, choose what resolution you want the final video to be. 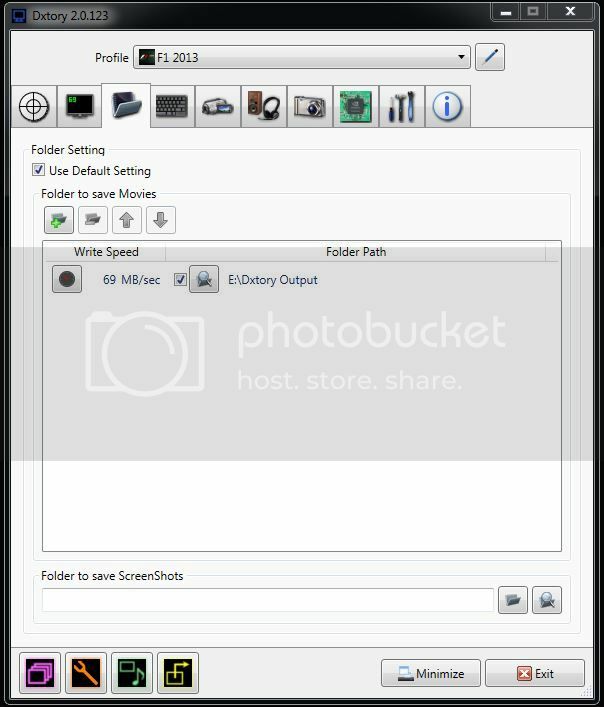 This is really important as it will determine your overall file size. 720p is good to aim for if you can as the quality will be excellent and looks great on youtube. But, it's bigger, so go with whatever suits you. 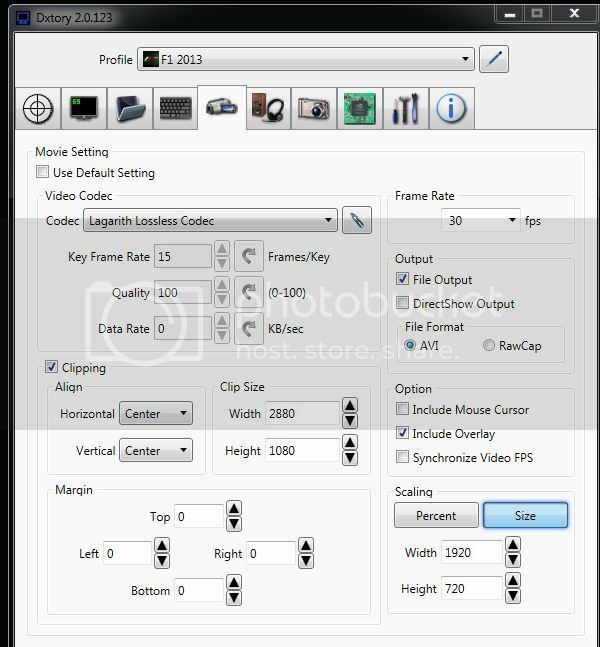 If your screen is 1920x1080, the you can get a 720p video using 1280x720 in the 'size' settings, or using 67% in the 'Percent' settings. Doesn't matter which one. If you are like me and want extra wide, you can choose 67% or like I did, calculate what percentage each dimesion will be - in my case, 1920x720 keeps the aspect the same as the clipping settings, but at an overall lower resolution. Now, you're not done yet. This bit is really important. Click the 'pen' icon next to the codec name and it brings up a sub menu for the Lagarith Codec. 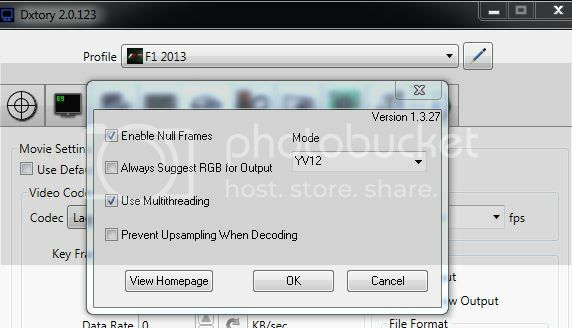 Select 'Enable Null Frames' Mode as 'YV12' and 'Use Multithreading'. You just told it to cut out any redundant frames it records, use a less complex colour palette and enable the sweet sweet multicores of your system to process it all. This means Speed and FileSizeSaving. Yummy. Here, you select what audio you want recorded. Select whatever device outputs the sound during the race, eg headphones or speakers. You can also add another device to record (say, your microphone) if you want to include your voice comms in there too. 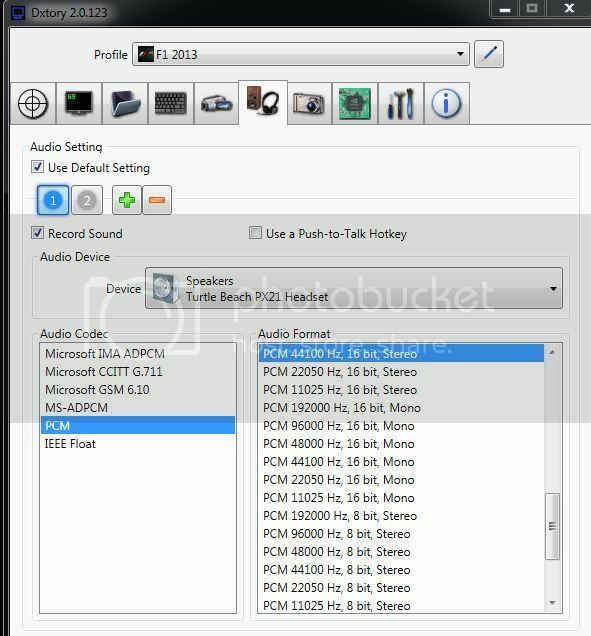 Select a format for each, for this it doesnt need to be super high quality, so I have 44.1/16/Stereo for the Headset (main game sound) and 44.1/16/Mono for the mic. A bit of overkill, but it's not a huge overhead. I didnt touch a thing here, but lots of options for quality etc, so play to your heart's content. One important thing to change here. 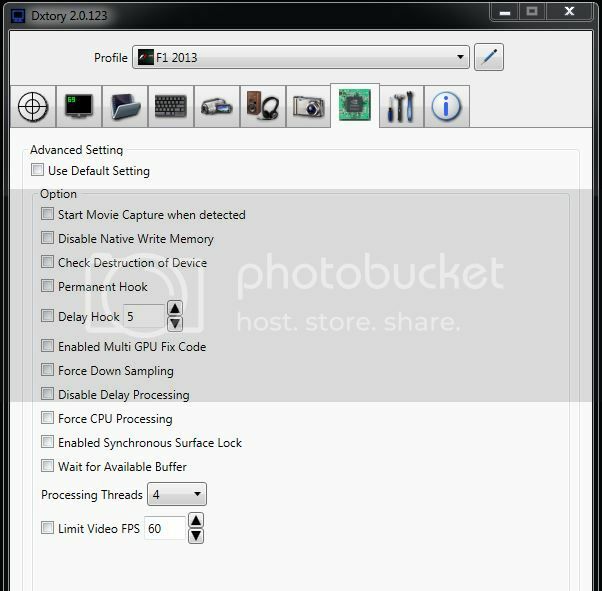 Under Processing Threads, select how many you want to use for processing your video on the fly. I selected all of them :) More is better, right? Global Setting tab is last, nothing to change here. That's it, you're all ready to go. Now go record something! My 'cineplodic' widescreen format records at a little over 1 Gigabyte per minute. Big. Don't panic though, that's where Handbrake comes in. OK, the last bit now. You have your whopping 200-odd Gigabyte race video you want to share with the world. Lets make it smaller so you can upload it inside of a decade or two. 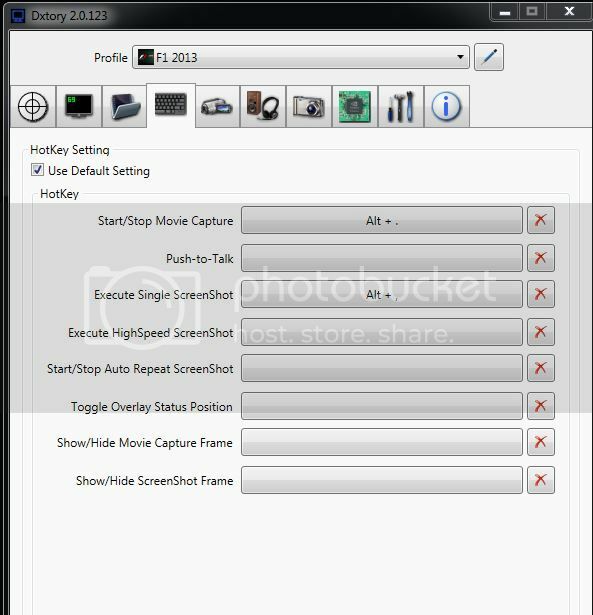 Select the H.264 codec and a constant framerate. Then select Average Bitrate of 6000, tick both 2-pass encoding and Turbo First Pass. This gives you a good compromise between speed of encoding and quality, and reduces file size to the max. Youtube can be a bit funny with audio, sometimes it rejects audio formats. But this one works, even though it throws an message there may be a problem with audio, when you upload. Ignore that, it works. Just select this one. Ignore Subtitles and Chapters, go straight to Advanced. Now, go back to the Picture tab and Save all that as a profile so you dont have to do that next time. Just click Add and follow the prompts. You can select where you want to save the video, there are options to set those as defaults in the menu too. That's it. Now hit the bigass Start button, sit back and wait. Once done, you have turned your 200Gb into about 2 Gb. That's still an overnight upload on ADSL, but it's worth it. You video will look boss, even if your driving doesn't.